This is what you have all been waiting for. It is the heavy duty towing service. This one is the top of the top, the creme de la creme and we are so happy to unveil it now for all of you good folks. We love to tell people about this service because it is where we can show our muscle. There is an old joke in the towing world and that is that we never really grew up. We just moved in the same direction, enjoyed playing with toy trucks as kids and we have just swapped out toys in for bigger and bigger versions. Well, what can we say! There is some truth in this but the main thing is, we have managed to make a living by doing what we love and we are very passionate about it, every single day! Well, heavy duty towers are different to light and medium duty towers because they are designed to carry the biggest loads. Whether it is a big truck, a mini RV or a lorry of some kind (even a tractor) we are able to take the weight. We have been working in this area for long enough to know that we are not intimidated in the slightest by what you have to show us and therefore, we will roll it out with confidence every time we get the opportunity. These beasts of the road are geared up to help and we love using them in the Kansas City area. We use them only when we have to. The thing about these big duty vehicles is that they guzzle a lot of gas and they are sometimes a bit tricky to get down the roads. We have a large fleet of towing vehicles and we will be using them more often than not because they are smaller and easier to use. However, it is imperative that we are able to bring out the big gun when necessary because breakdowns do not discriminate. You can breakdown in a small smart car just as easily as you can in a large RV. But don’t worry, we have you covered whatever the size of the vehicle that you drive. 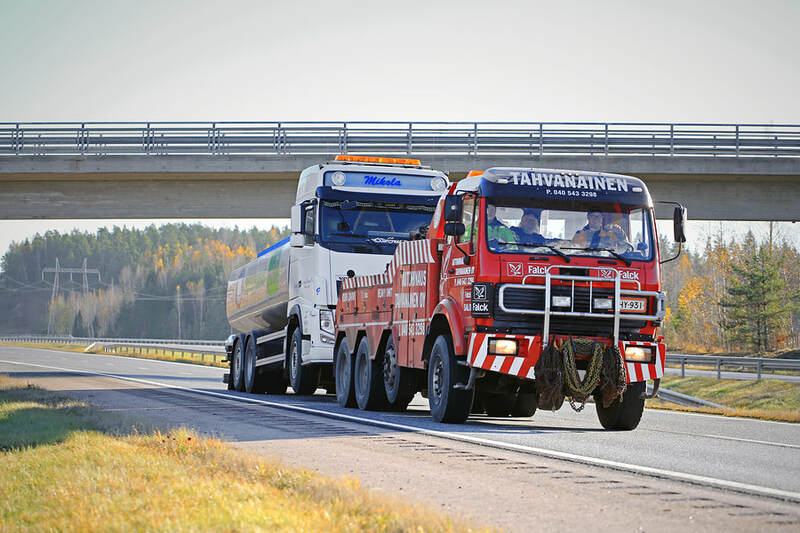 Heavy duty towing is something that we can deploy at a moment's notice if necessary. However we have to allow for a bit more time to do this because of the nature of the vehicle. But, do not hesitate to contact us if you need us. We will do all in our power to make sure that we can get to you as soon as possible. However, if you are a company or an individual who drives a large vehicle, feel free to get in touch with us before anything happens and let us know who you are. Then, once we have formed a business relationship, we will be more prepared to come out and help you. It is just a question of time and of speed.